Creative engineering is to develop the best solutions to your needs as a virtual pilot without the established limits. With more than ten years of experience in the area, listening to pilots and staff, we have created along with a team of passionate professionals, some tools adapted to the pilot, to his way of driving, reacting and sensing. We want you to perceive each lap, each turn, each acceleration, not to imagine but to experiment that you are really out there. Welcome to your new room. 1 Concept design at our laboratories. 2 Making of a 100% functional prototype Hardware and software 3 Thorough test by expert pilots staff and Logykal engineeringpersonnel. 4 Product launch, fulfilling all endurance and quality standards. 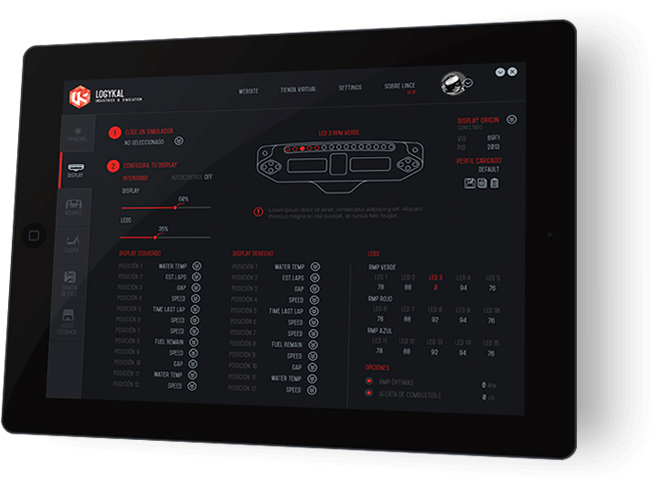 Each of our devices design is based on the demands and aspirations of a racing driver. It’s our aim to adapt to your (the pilots) needs, to listen to your experiences and to apply them to our devices. We are always developing new techniques in all our designs, no matter whether it is based on its construction, design or control. And the only aim is to be able to offer better tools adapted to you. Adaptability, connectivity, usability and style are for Logykal a constant in all our products. 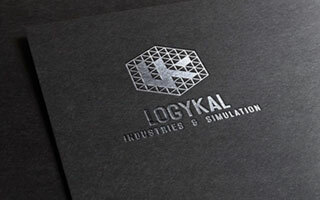 Logykal was born with the aspiration to provide professional solutions to the needs of virtual pilots. 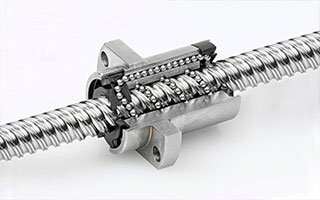 From our previous experience we know that the best way to maintain a high level and functionality in our products is by innovation. All our engineering and systems are based on the best technologies available in the market, and they are also our own developments, adapting these innovations to a specific field such as Racing. New motion transmission systems, with 80% higher resolution, communication with the equipment through aerial networks (WiFi), new construction materials that increase the durability up to 300% and a group of professionals dedicated exclusively to incorporate the best to our devices, guarantee that our products offer you a completely professional and unique experience in the simulation market. 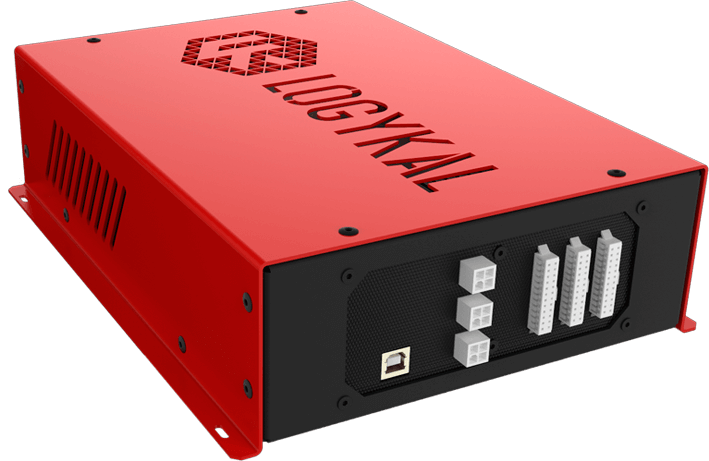 Our electronic engineer, Juan José González Martín, can tell us how the beginnings of Logykal were and how all of us, who are part of the company, face together our future in the world of simulation. One of the activities that Logykal carries out in the simulation world is the sponsorship of the Vortex Sim Racing competition team. 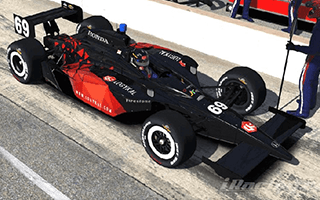 We are also proud to announce that Logykal is going to participate as Sponsor of Classic Indycar Series, a reputed official competition that is disputed within iRacing simulation system. We are going to make some brief technical articles in which we will approach concepts of general mechanics, which will help us define our movement system better and learn what details to observe in the commercial systems available to buy in the market. Subscribe* to our newsletter to receive driving tutorials, news about Logykal and exclusive offers.